Focusing on the complete spectrum of surfing’s history and development, including but not limited to significant surfboards, photography and the full range of other forms of information and objects of cultural value. 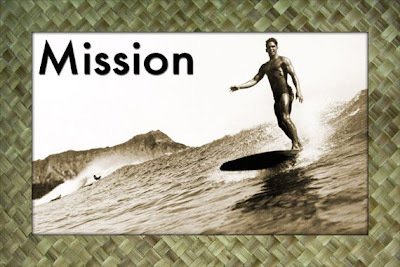 Establishing a world-class museum/resource facility, including an outreach program that creates exhibits and develops venues for effective traveling and/or off-site display: that this facility might serve as a symbolic center for the wave riding culture in the United States, dedicated to the understanding and appreciation of surfing as a sport, lifestyle, and culture. Building a community who actively support Surfing Heritage with fundraising, promotion and advocacy.